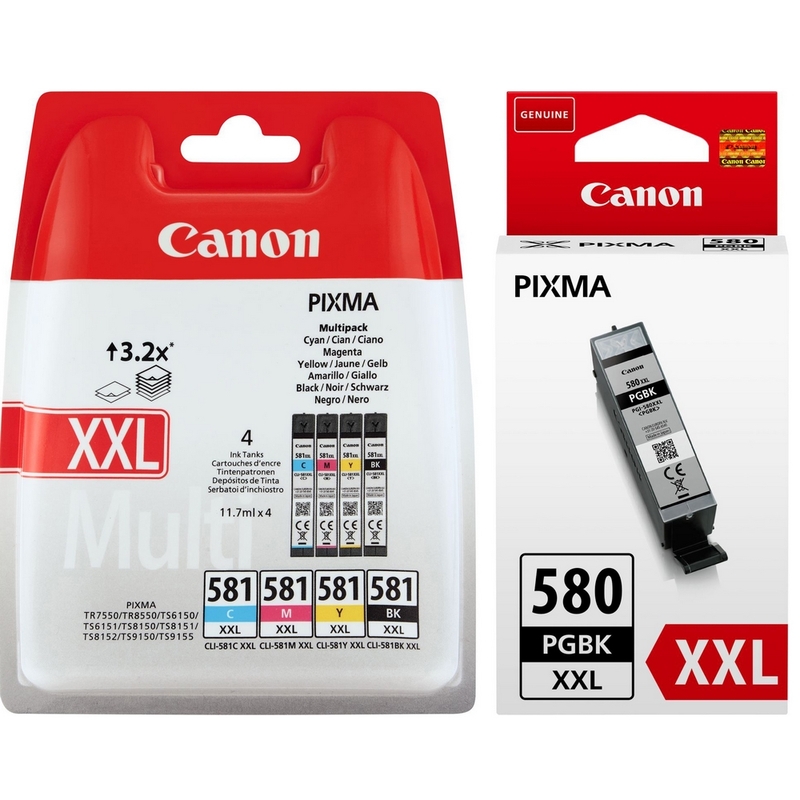 Home Ink Cartridge News New compatible PGI-580XXL and CLI-581XXL available for the Canon TS and TR range! 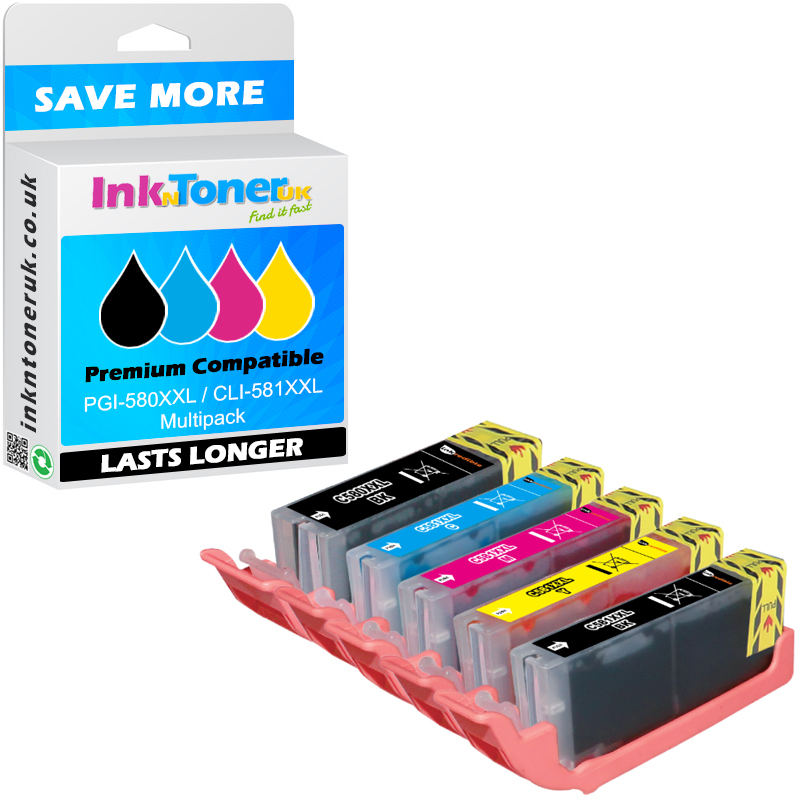 There are also machines that do not take the photo-blue ink cartridge but takes the rest of the cartridges. E.g: Pigment black, black, cyan, magenta and yellow. 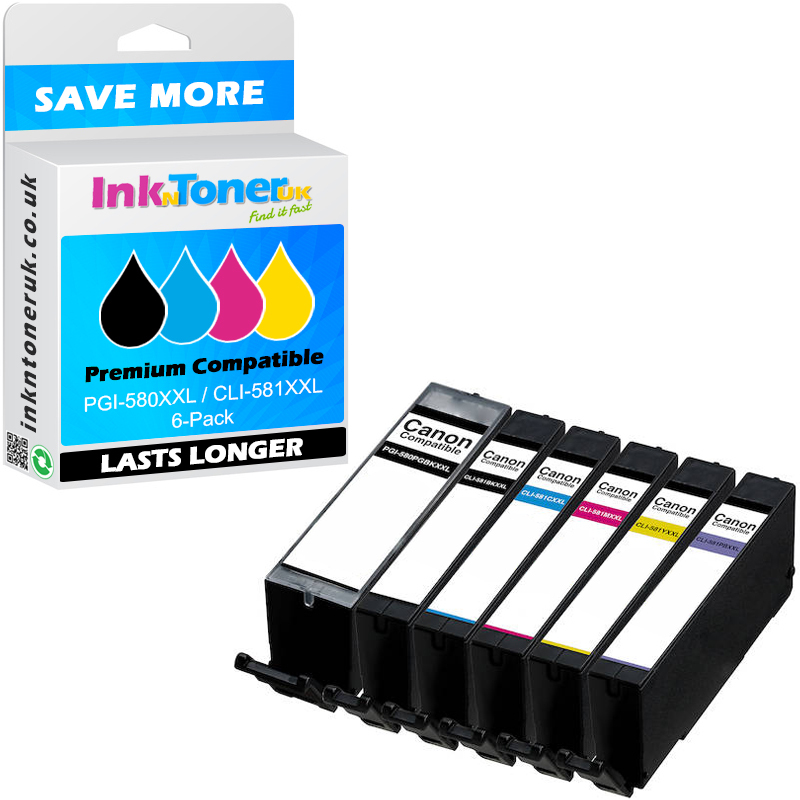 For those who only print black and white documents or have run out of black really quickly, Ink N Toner UK offers you the compatible (Non-Original) twin packs of the black, and they can be ordered here. 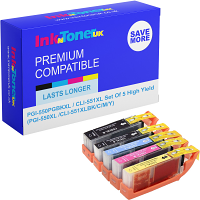 Our compatible cartridges will last as long as the original and the print quality is exceptional and matches the original cartridges quality. 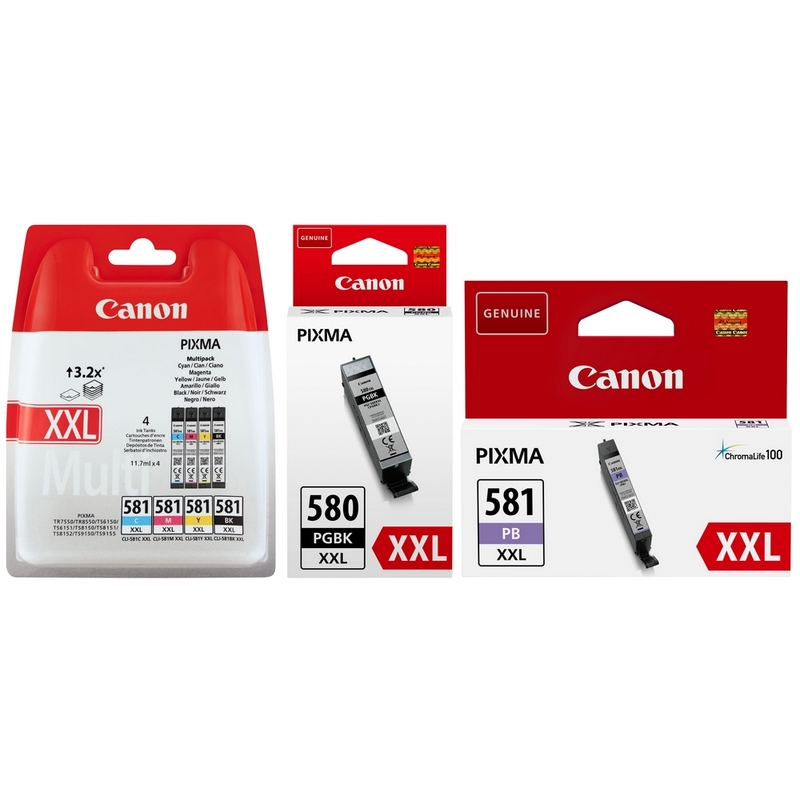 For more options for your printer, like if you want to buy the singles rather than the pack, we advise that you go to the list view on your printer by using our quick search and type in the model number of your printer, and selecting your printer (rather than the product itself) which would take you straight to the list view of your printer.